Asset management, is broadly defined, refers to any system that monitors and maintains valuable things for an entity or group. This may apply to tangible assets such as buildings and tangible concepts such as intellectual property rights and goodwill. But related with the development of digital technology, several company created an asset management industry platform using blockchain technology. Along with the development of digital technology, cryptocurreny in the future has become an increasingly attractive proposition in the market and may not have traditional banking infrastructure. Some developing countries in the world have even implemented Blockchain-based national currencies, such as Bitcoin, and this technology is also used by several large charity project to help those who don't have bank account. Rigoblock exists to reinvent the asset management industry making it accessible to everyone, enabling full transparency and empowering rigorous meritocracy. 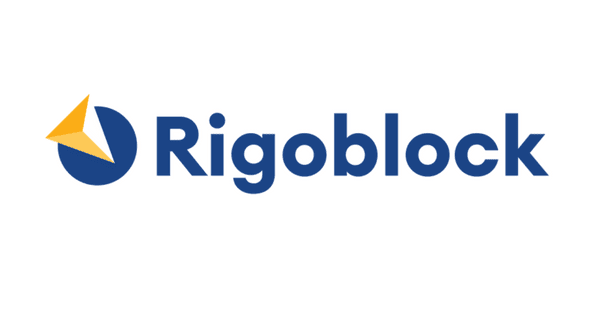 RigoBlock is a protocol that enables anyone to create and run a digital token pool on the Ethereum blockchain, lowering the barriers to entry to asset management. With the increasing number of tokens, professional asset management is needed in the field of crypto. RigoBlock's development started in February 2016 and the protocol is live on the Ethereum mainnet. The GRG token is the world's first utility token for asset management. 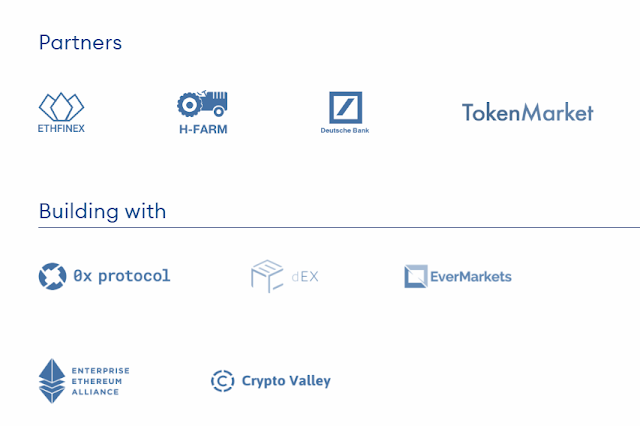 RigoBlock was selected as a finalist at ING Challenge 2017 and graduated from the H-Farm's "Blockchain Business Solution" in collaboration with Deutsche Bank. The Rigoblock platform is built on top of the protocol. Blockchain protocol that makes it possible for anyone to set up and run a decentralized token pool. Have mission to redefine the experience of investing in digital asset. Rigoblock makes it possible for literally anyone to create their own token pool (the digital equivalent of an investment fund) in seconds. 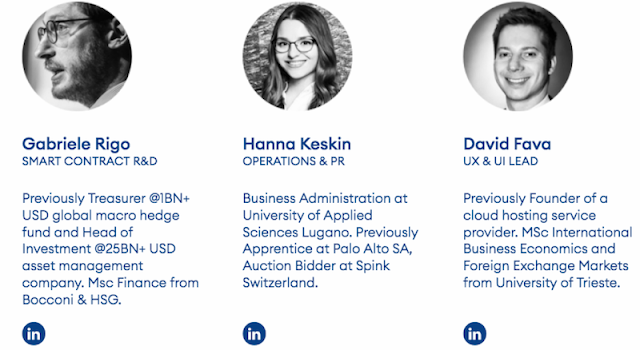 At the same time Rigoblock brings transparency and full auditability in a sector historically dominated by informational biases. The disruptive model allows for neither management nor performance fees to be charged to the token pools. Instead, the rewards come from a moderate inflation of the network (projected around 1 to 2 percent per annum) and the managers are rewarded in GRG tokens. The reward is calculated by an algorithm, called Proof-of-Performance, which is embedded in the protocol and is a smart contract itself, thus being fully auditable and transparent. 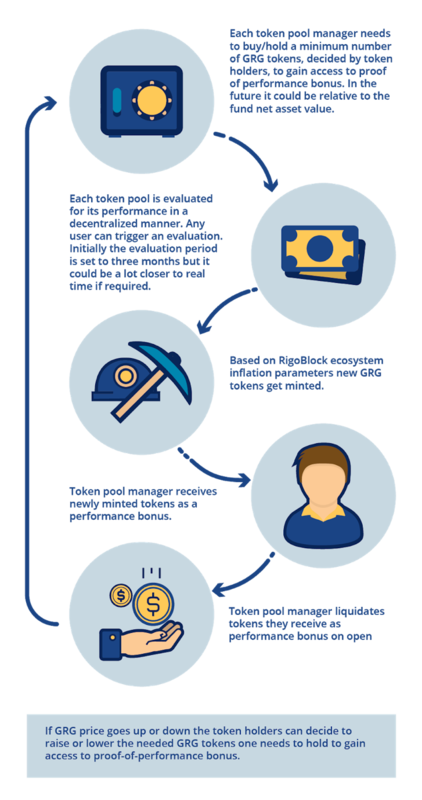 The managers must hold a dynamic minimum of GRGs to be eligible for Proof-of-Performance rewards, which is set by the token holders to balance demand and supply. Users of the platform are also required to hold some GRGs to unlock premium features or services. 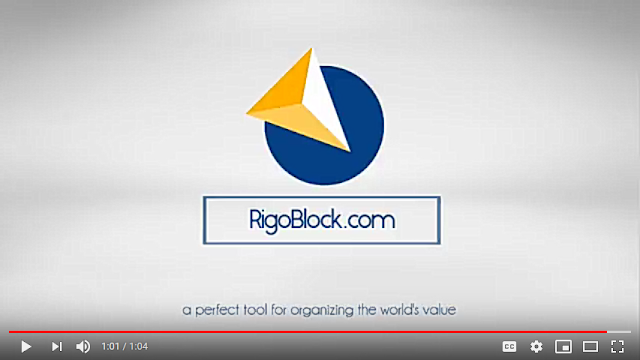 Detailed description of Rigoblock via video. The Blockchain technology and decentralization are evidence of the world's insistence on decentralization. As well as building the possibility of a new model of the financial system and investment parallelism. The principle that displays the possibility of the existence of a structure that is not controlled by none is 100% transparent, not reinforced and furthermore, fully protected. The RigoBlock Exchange has been built with the purpose of providing a decentralized exchange. It is a completely decentralized exchange for leveraged crypto swaps trading. It allows users to place a leveraged (or not) trade on ETH USD (just one asset on the exchange at the moment) both on the long and on the short side, so that traders can profit if the price goes up by buying, but also on selling the position short. A derivative is a contract that represents an asset which does not exist on the blockchain. The RigoBlock exchange is a long-term project and we are not looking to put it in production soon, as current work is on integrating decentralized exchanges with our Dragos. The GRG token is at the basis of the incentives of the RigoBlock network. 10,000,000 GRGs are initially created. 3,000,000 GRGs are distributed during a public contribution period. 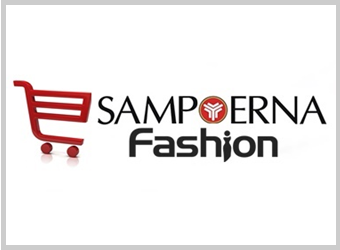 Participants to the token sale are subject to KYC/AML checks. The GRG token is an utility token, compliant with Swiss regulatory requirements. The GRG token serves the 3 following purposes: access, incentives and governance.